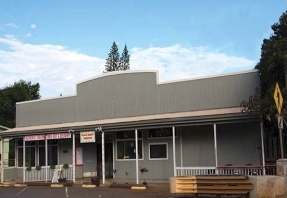 This is a unique opportunity to own a mixed use property in Wailuku. The front building is currently vacant and was used as a commercial kitchen. There is potential to upgrade the parking lot to allow for a restaurant use in the front building. Along with the commercial building there are two apartments and a single family residence. Live in the house or apartments and operate your business on the property or lease the commercial business for an excellent income property.